The Tribe has plans for an addiction treatment center on Colville land because the nearest existing facility is about an hour away. In order for patients to receive treatment at the new facility, however, the Tribe needs a high-quality, reliable Internet connection for telehealth applications. SB 5511, if passed, would help fund the project. The applicant pool for SB 5511 allows a wide array of eligible entities. In addition to tribes, local governments, nonprofit organizations, co-ops, public-private partnerships (“multiparty entities comprised of public entity members”), LLCs organizes specifically for broadband expansion, and private sector corporations are eligible to apply for funds. In Washington, public utility districts (PUDs) have worked tirelessly to expand connectivity to rural areas via their fiber optic infrastructure. State law mandates that they limit service to wholesale service and there are places where residents and businesses have a choice of ISPs that deliver retail service via PUD fiber. What happens, however, if there is only one ISP offering retail Internet access to subscribers and something happens to that ISP? 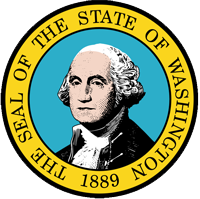 SB 5511 provides authority to PUDs in Washington to operate temporary retail services via their infrastructure to end users if an ISP using the fiber ends service to subscribers. The PUD can only offer the service if there are no other ISPs willing to take on the subscribers and the PUD must try to find a replacement, but subscribers won’t be left without Internet access. Port districts, which obtained more authority to work with private sector partners in last year’s legislative session, are granted more discretion in SB 5511. Last year, HB 2664 removed a requirement that only “rural” ports could use their fiber infrastructure for public-private partnerships outside of their port district. With SB 5511, port districts can also acquire and operate telecommunications facilities outside of their districts in order to provide wholesale service. The added authority can contribute to expansion of service in rural areas. PUDs and port districts have proven their ability to effectively bring broadband infrastructure to unserved and underserved Washingtonians. With access to more funding and the knowledge developed by entities such as Chelan PUD, Grant PUD, and the Port of Ridgefield, rural communities where people still aren’t served have a better chance to be connected through expansion. The FCC defined “broadband” as 25 Megabits per second (Mbps) download and 3 Mbps back in 2015 and there are still some states that rely on an inferior 10 Mbps / 1 Mbps standard. Fortunately, Washington SB 5511’s authors defer to the FCC for the standard which all applicants’ projects must achieve for funding. The Governor has proposed $25 million toward infrastructure projects over the first five-year period but as the SBO continues to do its work and determine the actual financial need to deploy statewide broadband access, that figure may grow. Read more details about the specific funding requirements from the Bill Analysis for the House Innovation, Technology & Economic Development Committee (2nd substitute bill). The Second Substitute version of the bill is on the agenda for the House Innovation, Technology & Economic Development Committee for today, March 19th at 10 a.m. PDT. After passing through Ways & Means and Environment, Energy & Technology in the Senate, the full body passed it 47 - 0. If you’re a Washington resident and interested in seeing this bill continue forward, contact your Representative and ask them to sign on or to vote to pass it when it comes before them. Read the bill in its current version.